Former Orangetown Supervisor Thom Kleiner announced Sunday that he is running as the Democratic candidate for Orangetown Supervisor in 2017. Kleiner, a Sparkill resident, won seven previous elections for supervisor and served in the position from 1996-2009. 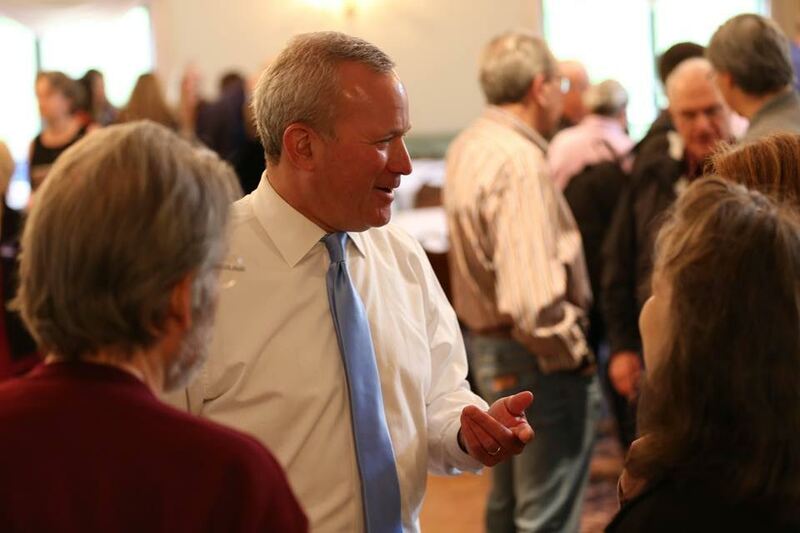 Speaking before a crowd of supporters at the Knights of Columbus hall in Blauvelt, he laid out his vision for Orangetown and explained why he decided to enter the race. Joining Kleiner for the announcement was current Orangetown Supervisor Andy Stewart, who praised Kleiner’s record running the town. “When Thom left office in 2009, Orangetown was in much better shape than when he started,” Stewart said. 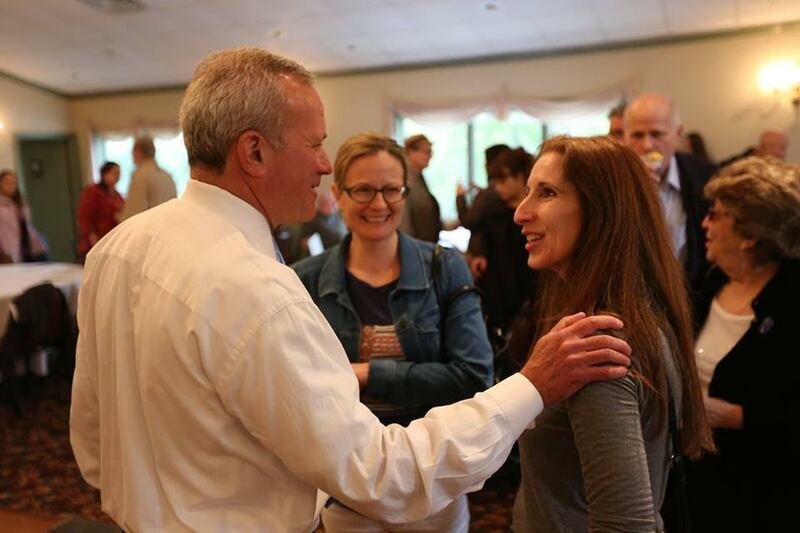 “From preserving the Rockland Psychiatric Center land, to saving parkland on Clausland Mountain, attracting new businesses to the Route 303 corridor and elsewhere, to putting the town on a strong fiscal foundation, Thom’s leadership was vital to Orangetown’s success,” he added. Kleiner’s decision to purchase 348 acres of land at Rockland Psychiatric Center prevented overdevelopment and paved the way for the construction of recreational soccer, baseball and Gaelic Athletic fields. Under his leadership, Orangetown stabilized town finances, increased town bond ratings, and won numerous successive awards for financial reporting. “If I am elected, I pledge to stay under the State property tax cap, protect Orangetown from overdevelopment through rigorous enforcement of our zoning and building codes, and plan intelligently to improve on what makes our town unique,” KIeiner said. Before becoming Supervisor, he both prosecuted slumlords for code violations and worked in consumer protection positions for New York City. In 2009, he ran for Rockland County Executive, and made the fight against the New Square chicken slaughterhouse and other inappropriate encroachments on residential neighborhoods a major issue in his campaign. Over the last eight years, he has served in senior roles at the New York State Department of Labor and Mid-Hudson Regional Economic Development Council, where he had the opportunity to observe and implement best government practices around the Hudson Valley and make our region more economically competitive. He serves as secretary on the Nyack Hospital Board of Directors and treasurer on the Orangeburg Library Board of Trustees. The presumptive GOP nominee is Chris Day, a former Congressional candidate and chairman of his father Ed Day’s successful 2013 campaign for county executive.